A paradise of game players. Is Fashion also a game? 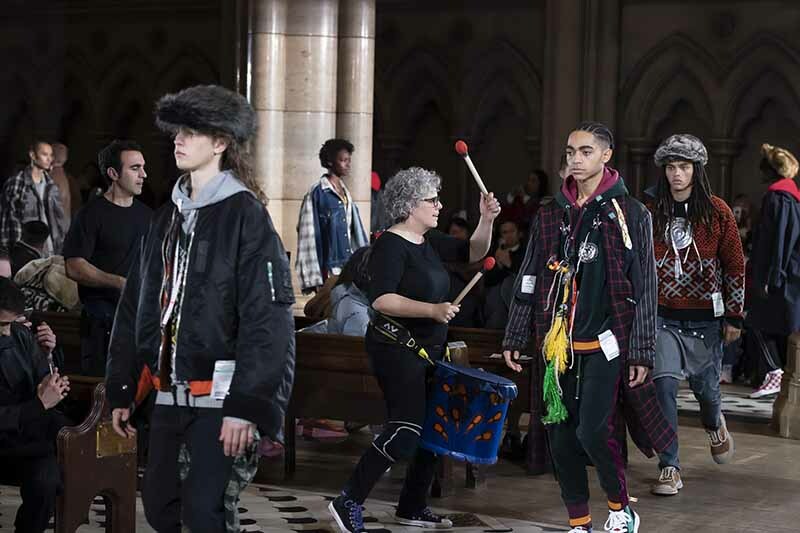 Mihara Yasuhiro‘s original and imaginative craftsmanship is elevated to a higher plane for AW19 with a playful message of wit and whimsy. Focusing on 1950’s Americana, the collection weaves a recurring “play” theme throughout. The jacquard shirts and scarves feature roulette tables and playing cards prints as well as coveralls and bush pants worked with rubber stamp patterns. The backs of riveted blousons are adorned with hand painted designs, all evoking a subtext of freedom.